Tally.ERP 9 is best accounting software in which you can get facility of creating payslip automatically. 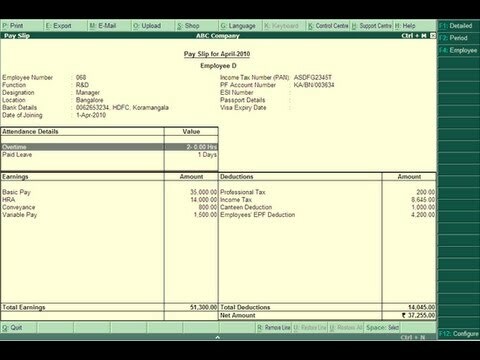 You just create the employee ledger, pay head and salary detail in payroll info. After this, you have to pass payroll voucher entry. After this, you just go to display, then go to payroll reports. In payroll reports, you see payroll statements and in statement, you will find payslip. You can print it or export it.